At Affordable Family Storage in Des Moines, we know that a lot of our customers love being outdoors on the water during the warmer months. There are a number of rivers and lakes in the Des Moines area that are perfect for those days when you want to take out your kayak or canoe and enjoy the water. But what do you do with your boat when the summer days come to an end and won’t be back for several months? In today’s Affordable Family Storage blog, our storage experts discuss the best methods for storing your canoe or kayak in your Affordable Family Storage unit. If you’ve taken your canoe or kayak out on the water even a few times before you decide to pack it away for the cooler months, it could probably use a good cleaning before its packed away. Rinse the boat off and wipe it down to clean off all the surfaces. If there is still dirt and debris stuck on your kayak or canoe, use a cleaner that is safe for your type of boat to remove those stubborn bits. Once that is done, make sure everything is completely dry before moving on to the next steps. If you have a wood gunwale canoe, you should apply a coat of a gunwale guard oil to protect the wood. To avoid cracking, loosen the screws on any wood trim your kayak or canoe may have. If you have a vinyl or composite kayak or canoe, consider applying a UV protectant to keep your boat in good shape the next time you take it out on the water. Once your boat is properly cleaned and dried, it’s time to figure out how you are going to store it in your Affordable Family Storage unit. Both canoes and kayaks should be stored off the ground. 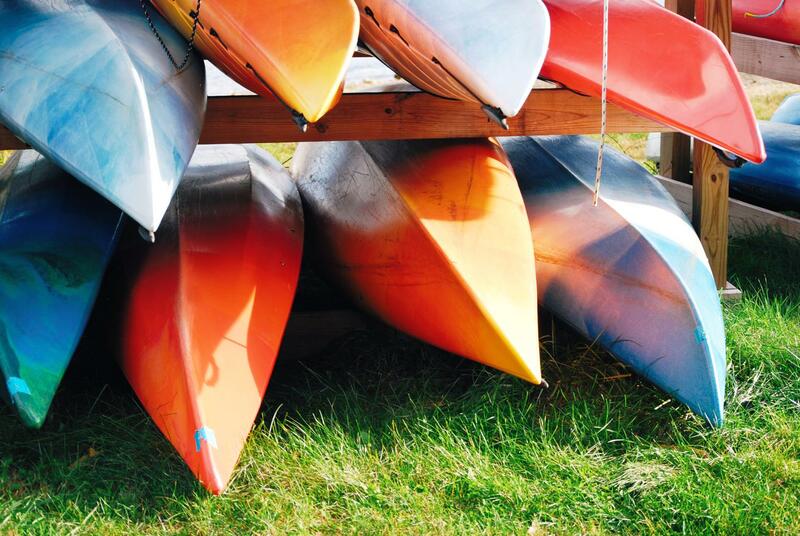 For canoes, you want to store them upside down and balanced to prevent bowing. The proper way to store a kayak depends on the material the kayak is made from. If you have a plastic kayak, it should be stored on its side; if your kayak is composite, it can be stored on the side or upside down. With the right preparation, keeping your canoe or kayak in a storage unit at Affordable Family Storage in Des Moines is simple and easy-to-do! Our climate-controlled storage units will keep your boats safe and secure and protected from extreme changes in weather. Reserve your storage unit online and contact our office for more information!